"It can work, if you help me." Netflix has unveiled the official trailer for The Boy Who Harnessed The Wind, the feature directorial debut of Oscar-nominated actor Chiwetel Ejiofor. Based on the true story, the film is about a young boy in Malawi who helps his village by building a wind turbine with spare parts after reading about them in a book. Maxwell Simba stars as William Kamkwamba, and the cast includes Chiwetel Ejiofor, Noma Dumezweni, Joseph Marcell, Aïssa Maïga, Lemogang Tsipa, and Lily Banda. This is premiering at the Sundance Film Festival this month, and will debut on Netflix in March, so not much long of a wait if you're interested in it. This looks like a wonderfully inspiring, uplifting story of determination and ingenuity. And I really want to see if Ejiofor is as talented of a director as he is an actor. Against all the odds, a thirteen year old boy (Maxwell Simba) from the country of Malawi in East Africa invents an unconventional way to save his family and village from famine. Based on the true story of William Kamkwamba. The Boy Who Harnessed The Wind is both written and directed by award-winning English actor Chiwetel Ejiofor, making his feature directorial debut, after directing a few other short films previously. It's adapted from the book co-written by William Kamkwamba and Bryan Mealer. The film is premiering at the 2019 Sundance Film Festival this month. 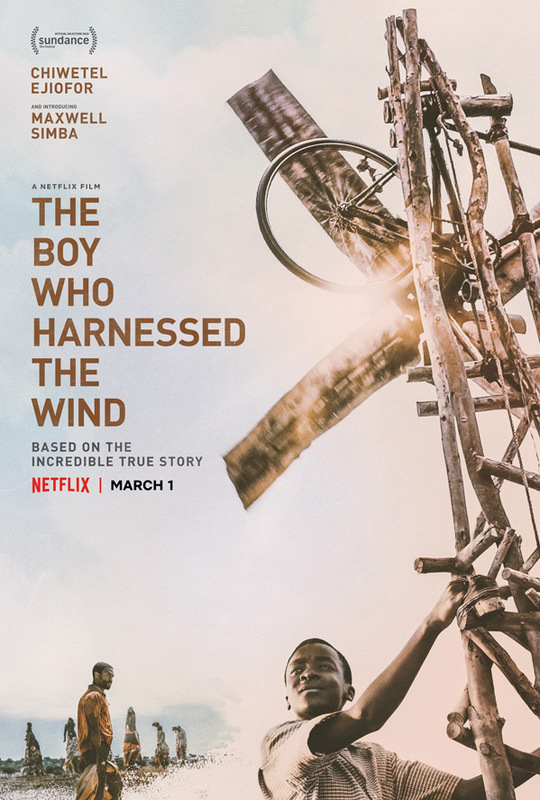 Netflix will then release Ejiofor's The Boy Who Harnessed The Wind streaming exclusively starting March 1st coming soon. First impression? Who's in?